Still amazed by winter tyres – HubNut – celebrating the average! Two years ago, I boldly sold my 4×4 as winter approached, even though I live in the hills of rural Wales. The reason? I was putting my faith in winter tyres. People still ask me: “Are winter tyres any good?” That winter, I discovered the answer. Tellingly, I had to help rescue my old 4×4 because it had got stuck in snow that was drifting up to 4ft in places. This is the thing – if the snow is really bad, folk around here either jump in a tractor, or simply stay at home until the roads are cleared. I didn’t use my car for that rescue. There are limits, even with winter tyres! What really impressed me that winter though, was the very-real benefits winter tyres provided. That was a set of Riken Snowtime tyres purchased part-worn from a friend. They’d barely been used in reality. I fitted them to my Citroen BX turbo diesel. Now, it must be said, winter tyres are not truly magical. Floor the throttle, and the car will still lose grip in snowy conditions. Similarly, if you go flying into a bend, rubber can’t save you if there’s a lot of snow on the ground. You have to respect the conditions. However, what REALLY impresses with winter tyres is stopping power. Summer tyres really struggle in low temperatures. The compound becomes too hard, so the tyre struggles to get any grip. That means you’ll either lock the wheels or the ABS will cut in. Either way, your stopping distances will be vastly increased compared to clear tarmac. With winter tyres, I was finding that I could stop nearly as well as on a dry road! The difference was simply staggering. Sure, sheet ice was still an issue – only studded tyres will find grip there – but even on compacted snow, the car felt planted unless you were really silly with it. At one point, I parked on a slope, got out of my car, and almost fell over! I hadn’t realised how slippy the road surface was. 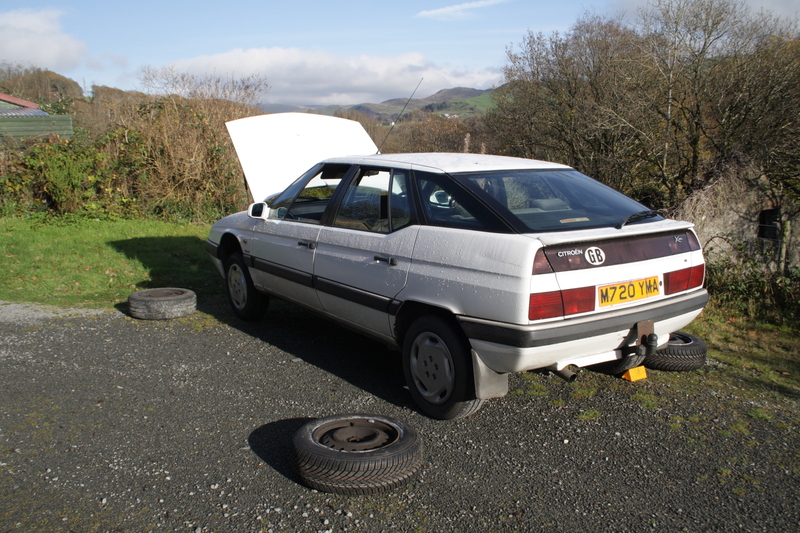 So, given a chance to put Continental’s plaudit-attracting ContiWinterContact TS850 tyres to the test on my Citroen XM, I leapt at the opportunity. XM awaits fitment of its winter tyres – grippy! I’m wary of letting tyre monkeys loose on hydraulic Citroens, so a local garage fitted the tyres to a spare set of rims and I fitted the wheels myself. It also allowed me to check the brakes over – rear pads needed soon. If you have the storage space, another set of wheels is the easiest solution. Then you can simply swap back when spring arrives. Some keep winter tyres on all year round, but motorway miles will quickly wear out the softer compound of a winter tyres on warmer days, so I’ll be changing back. There are two main changes to a winter tyre to make it more grippy. One is the compound – it’s softer. You don’t have to be a huge Formula 1 fan to know that a softer compound gives more grip. As with the summer motorway scenario, softer tyres will also wear more quickly when pushed hard in hot conditions. The other change is sipes – cuts in the tread blocks themselves that make it easier for the tyre to collect snow. If you’ve built a snowman, you’ll know that snow sticks very well to snow! So, are winter tyres really all good? Well, there are some downsides. One is that you need to fork out for a full set of tyres. I’d be very wary about only putting winter tyres on one end of the vehicle. At £50-60 per tyre for these ContiWinterContact TS850s according to The Internet, that’s a fair chunk of cash. 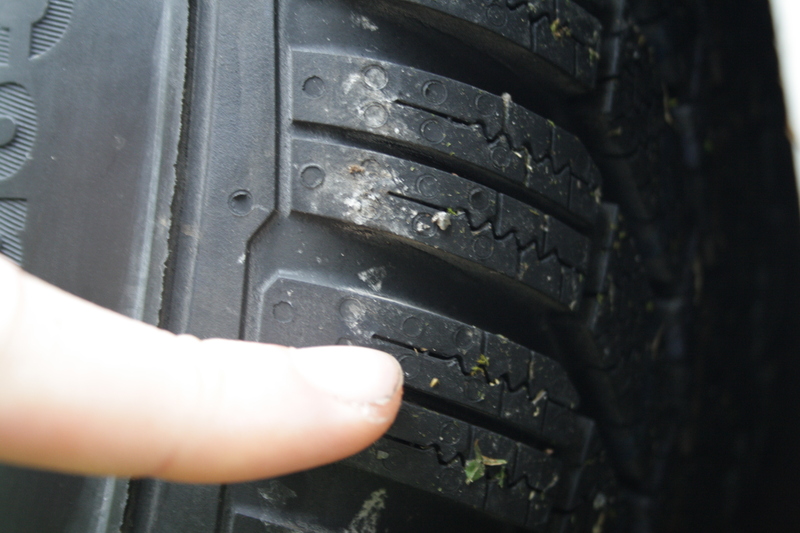 However, chances are, you’re taking off a set of summer tyres that still have grip left. Store them well (indoors, away from UV light) and you can put them on again next year. So, chances are you won’t need to buy any more tyres for a while. You do need storage space, but some tyre suppliers offer to store your summer tyres over winter – and vice versa. Have a natter with them. In use, winter tyres do tend to be a little noisier, but it’s not that noticeable. In theory, they are also less good at hard cornering, as the softer compound makes the tyre less stable. Having driven rather frenetically on winter tyres in a variety of cars, I can’t say this seems to be a real issue. Naturally, I haven’t had chance to put the Continentals through their paces yet, but stay tuned. Once winter properly descends, I’ll be able to see just how good they are. Incidentally, winter tyres can deliver benefits whenever temperatures drop below 7 degrees centigrade. Don’t make the mistake of thinking they’re only good in snow. They are winter tyres, not snow tyres! My current thought is for all-season tyres( not sure if this is just marketing), believing that this will give bias to the trickier winter driving conditions, yet not losing out too much in the warmer months, such as vredstein Quatrac Lite. This is the compromise I wish to try with my next set of tyres as I cannot justify two sets of tyres and wheels while low mileage driving around the south east!, but will enjoy following the outings of a XM with winter tyres from Wales. I’d like to try all season tyres, but that’d be a very long term test! I rarely keep a car long enough for a full year of testing.